So says Kathy Kennelly, Certified Family Nurse Practitioner and owner of Institute of Health Promotion (IHP) in Plano. The moment of truth occurs when the kids are out of school and summer arrives. “All of a sudden we realize we need to lose weight,” she says. Kennelly says it’s important to shed pounds safely with medically supervised weight loss programs. “New patients should have lab work done, a body analysis and an electrocardiogram (EKG) to make sure their heart is strong,” notes Kennelly. So how much of weight loss is what you eat versus exercise? Shannon Rene, founder of Fit N Pilates Studio in Plano, says many factors control weight gain or loss. “Regular exercise can help people lose weight,” she says. “However, there are many factors that influence whether or not individuals become obese, as well as whether they are able to lose weight and maintain a healthy weight.” These factors include diet, exercise, genes, learned behaviors, cultural and socioeconomic factors and motivation. 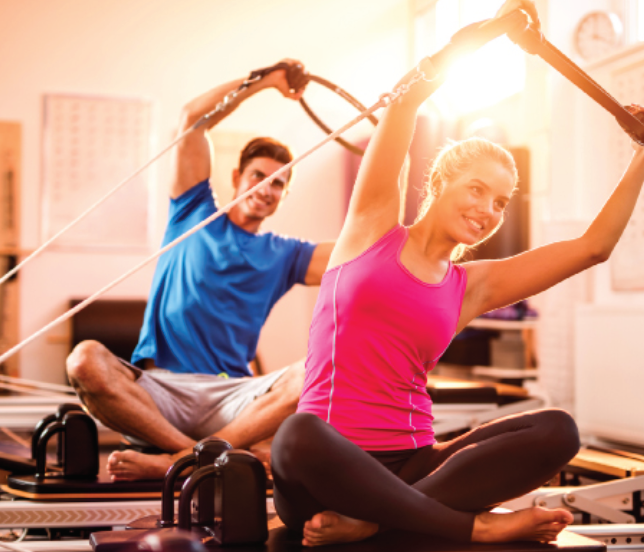 One form of exercise that is beneficial, gentle on the joints yet challenging, says Rene, is Pilates, as it contributes to developing a strong core, flat abdominals and back. It also helps gain long lean muscles and flexibility and creates an evenly conditioned body, improves sports performance and prevents injuries. As patients slim down, they need to be closely monitored to be certain they are losing weight safely. “You want to lose fat, yet protect muscle,” Kennelly explains. Also, patients’ primary care physicians and specialists should be informed and involved in the process, so that all health issues are addressed. Editor’s Note: For more information on IHP, contact Kathy Kennelly at 972. 832.4610. For information about beginning a Pilates program, reach Shannon Rene at ShannonZRene@gmail.com.